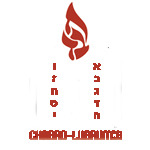 I’m writing to share exciting news that a friend and donor has generously committed to match up to $25,000 toward the mortgage of Chabad properties. If we can match this amount, we will be on track to pay off our entire mortgage with Enterprise Bank within 8 years! Whatever we can raise in matching funds will apply directly to the mortgage’s principal. This opportunity means much more than the story told by the numbers. Relief from this monetary burden will enable us to expand our programs and services and extend our reach to the families in our area significantly. After all, our mission is to improve people’s lives, and our ability to fulfill this mission is at the heart of all we do together. You can submit your donation online by using this form or send a check to Chabad of Merrimack Valley with "mortgage" written in the Memo. Make a Difference - Donate Now!